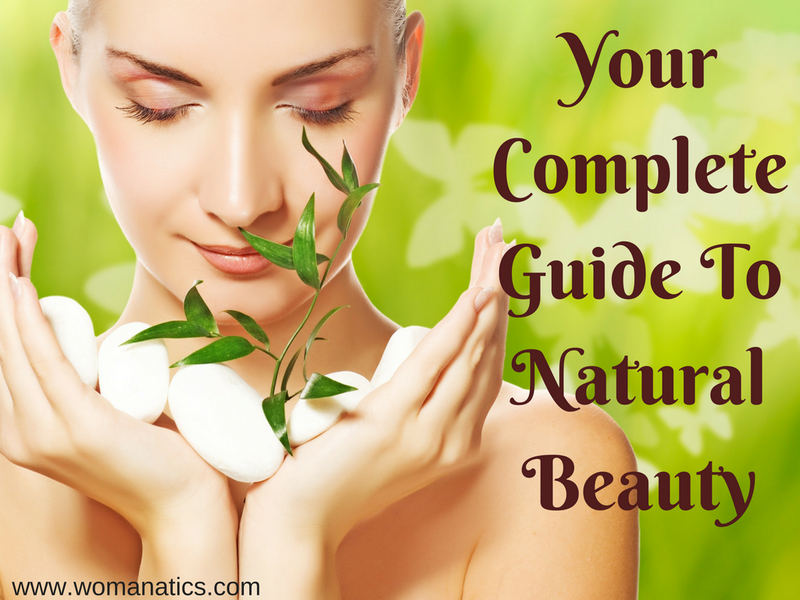 I rely heavily on naturopathic solutions for most of my beauty and health-related problems. Be it cleansing of skin, cough, mild fever or dull skin – I prefer scouting for potent ingredients in my own kitchen than spending thousands on brands that claim to use the same natural ingredients along with harmful chemical based preservatives. My interest in naturopathy deepened when I moved to Andamans and faced the scarcity of most of the things I was used to using here on the mainland. That is when I decided to try my hands at home remedies and this led to extensive reading online and experimenting offline. 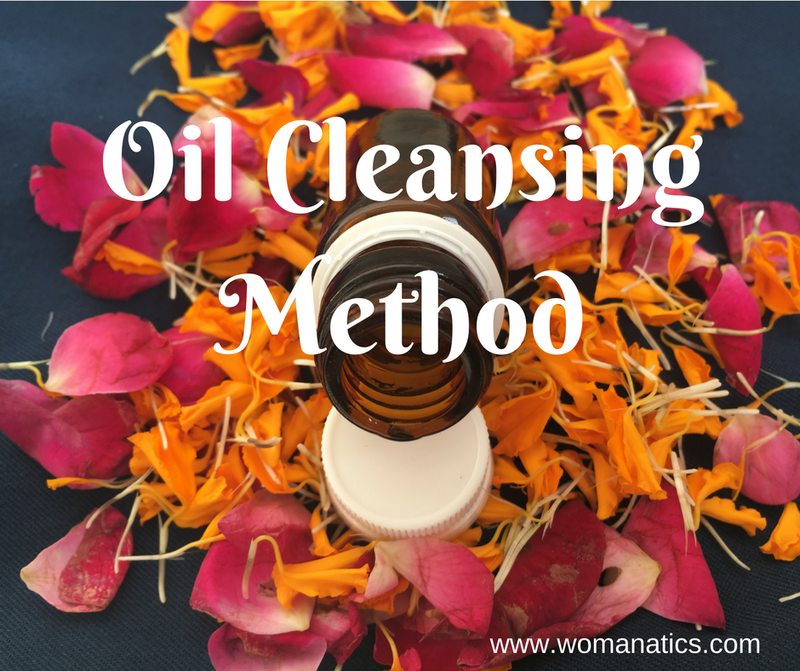 In this guide, I am going to share the tricks, recipes and practices that have helped me immensely in making lesser visits to the doctors and in greatly reducing cosmetics bills. Almost all of my skincare products are homemade and straight out of the kitchen with natural ingredients and I can vouch for their effectiveness, ease of use and affordability. My personal favorite face (and make-up) cleanser is raw milk. I swear by it and I have been religiously using it for more than 10 years. You can use any raw milk i.e. packaged milk, carton milk or the milk that your milkman brings. Pour the milk into a pan. Let it settle for 2 minutes. Scrape out the top layer of the milk with a spoon. Apply it on your face and neck. Wipe off with cotton. It is just like milk-cream but less greasy and lighter that milk. If your skin tends to break out, you can use normal, toned milk i.e. after its cream has been extracted. If your skin is extra dry, you can use milk cream i.e. malai as well. I use the raw milk in the morning as that is when I get fresh milk at home. But when I need to cleanse my face in the night before going to bed or at a time and place when raw milk is not available, I go with OCM. I prefer to use one part of castor oil and two parts of coconut or apricot oil. Simply mix the oils, massage on face. Leave on for a minute or two. Wipe off with a normally wet towel. Some people recommend steaming the face or using a hot towel. I have tried both and I have realized that I get the best results when I use a face towel that is wet with normal water. Sometimes, right after wiping off with face towel, I splash warm water on face and pat dry. Another product that I love though it is not homemade. But I have been using it for over two years now and I simply adore it. 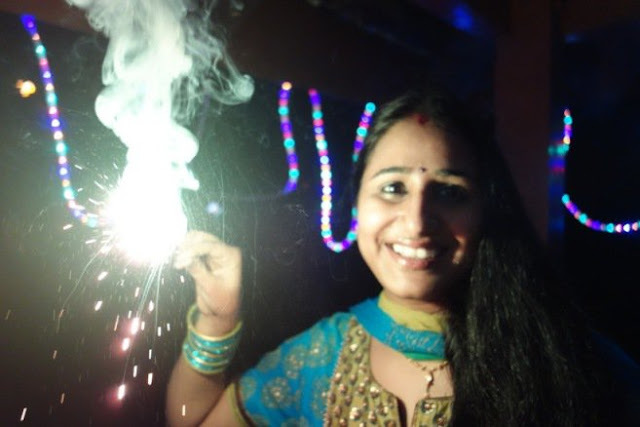 I found Krya after doing some online research and I got in touch with Preethi who is the founder of Krya. She often writes on her FB page and gives honest and detailed information about her products and also enlightens the readers with her Ayurvedic knowledge. This is how I learnt about Krya and decided to try it and I was highly pleased. It is a green powder made from organic soap berries and without any chemicals or preservatives. Unlike other face washes, it does not lather and does not dry your skin. It, instead, cleanses it so gently that you notice a difference in the skin right after one wash. I love this powder and I use it every day. It is also the cleanser I use while travelling. I use raw milk and OCM every alternate day but this powder is my daily ritual. It also works like a gentle scrub on the face. A must try. You can buy it here. I also regularly use my homemade facial cleanser that consists of turmeric powder and orange peel powder. I have done a detailed post on it. Read it here. Brown sugar works best for face scrubs. Take few tablespoons of brown sugar. Mix a tablespoon of olive oil. Add few drops of essential oil and an effective face scrub is ready. Try out my 3 Ingredients Sugar Honey Body Scrub. It can be used in multiple ways. When being lazy, I simply mix it up with water or rosewater and exfoliate. Otherwise, I like to add honey to it. My preferred way is to add honey to baking soda and then apply it on face. Leave it on for few minutes and wash away. My skin shines after using this combination. Make your own sea salt by boiling a pan full of sea water. It was much easier for me when I lived in Andamans as I would have the water collected from the interiors of sea. Once you have sea salt ready, just mix any essential oil to it and few teaspoons of coconut or any other body oil like olive oil, apricot oil or sandalwood oil. Nothing works better than a good pumice stone for body exfoliation. 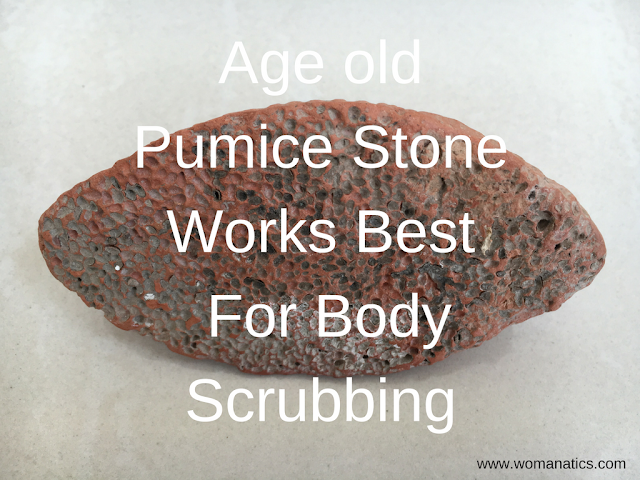 I still rely on old age type pumice stone. It can be harsh if used roughly but otherwise, it removes dead cells effectively and also cleans the skin from dirt and grime. 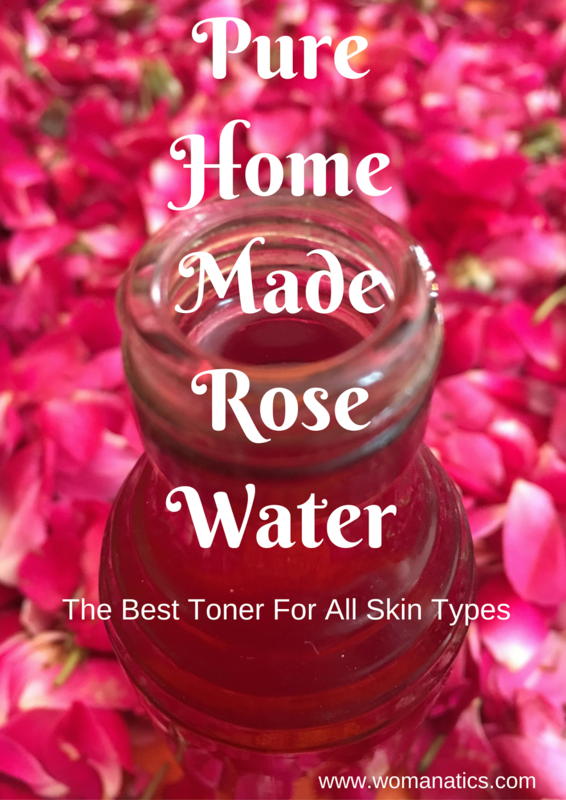 Can there be a better skin toner than rose water? And any better than a homemade, pure rose water? I absolutely like the way rose water adds a shine and tautness to my face when I need skin toning. Last week itself I made a batch of rose water at home and I have been regularly using it in the mid of the day. Making rose water is very simple and easy. Pluck the petals of a rose flower. Wash them with clean water. Add distilled water to a pan. Add the petals to it. Heat the mixture on low flame or better still, steam it. Turn off the flame when you notice the petals losing their pink colour and turning into white. Let the mixture steep for some time. Let it cool and then strain and store. You will be surprised to see how pure homemade rose water is different from the market made rose water. Want a tinge along with plain rose water? Add aloe vera to it. Here is the full tutorial to make DIY Soothing Rose Aloe Vera Toner. Here are 5 home made facial toners. You can make your own variations by adding honey, lemon drops, rose water, banana, egg white or even coffee. The above combination has been used in Indian traditions since ages. This is the mix that is applied to the bride and groom during their wedding preparations and is called haldi ceremony. The first one is my go-to mask but sometimes I also apply a mix of banana and honey. Depending on the weather I also add lemon drops or curd to it. 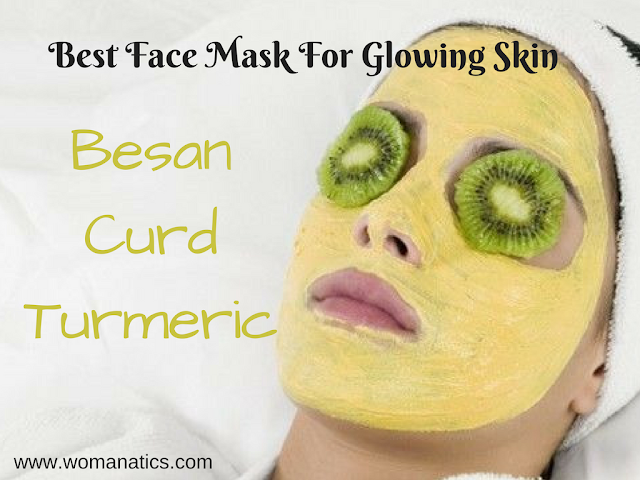 While the previous mask adds a glow, this one makes skin soft and supple. This DIY face mask lends instant brightness to face. Here is how I tried it. Rub any fruit on your face. Let it stay. Wash off. Fruits like mango, orange, strawberry, papaya and avocado work like wonders. You can add curd or honey to the pulp of these fruits and let it sit on the face for few minutes before washing it off. By far, the best moisturizing agent out there is glycerin. The best thing is that one can play around with its variations and come up with something that suits her skin. I keep the consistency as per my convenience. In winters I add more of glycerin while in summers, I up the amount of rose water. I also squeeze a capsule or two of vit. E to the mix as not only vit. E is excellent moisturizer, it is also an effective preservative. 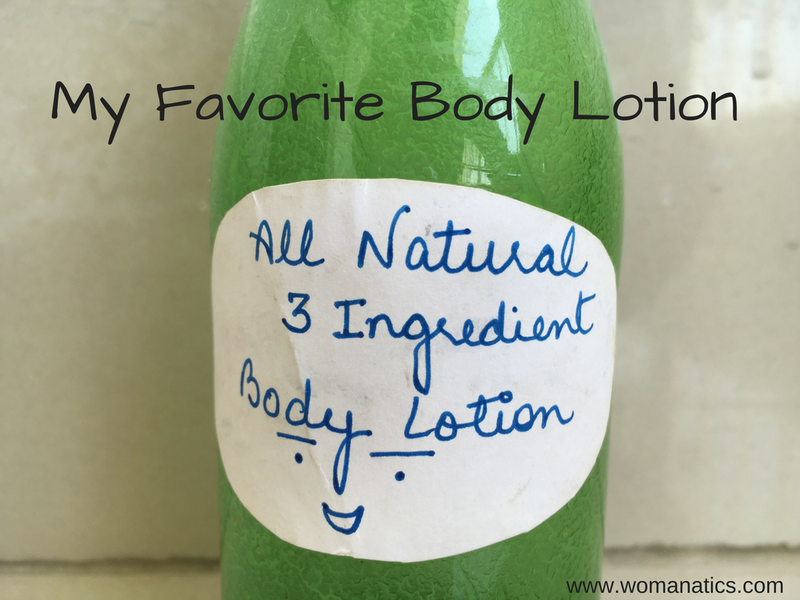 This is my staple DIY moisturizing lotion. I also use it as lip balm and this is my FAVORITE LIP PRODUCT. As body lotion. As face lotion and also on elbows and knees to smooth out the skin. I prefer to add lemon juice to almost every glycerin recipe because lemon juice helps in reducing its stickiness and of course because of lemon juice, rich in vit. C, acts as a natural preservative. But since we are adding Vit. E oil, you can skip lemon juice if you wish. Last winters, I extensively used this mix on my face and for the first time, my face didn’t show signs of dryness. Otherwise, my skin gets extremely dry and parched during winters especially the skin on my cheeks. This cream was a super hit. Why shouldn’t it be? It worked for more than 24 hours on my skin! It is no less than a miracle for me especially when my skin behaves erratically bad in winters. I haven’t yet figured out a PERFECT hair problems’ solution unlike the way I have learnt the secrets of skin care but in the last few months, I have STOPPED USING SLS BASED SHAMPOOS. Since May 2016, I have stopped using market bought shampoos and instead have tried my hands at several home-based and natural hair treatments. In the last few months, there has been a tremendous decrease in hair fall. My dandruff has greatly reduced. And overall health of my hair has improved. Here are my alternatives to SLS based shampoos. We all are aware of the many versatile uses of baking soda. It works as an exfoliator and hence I use it often to clean my scalp. I wet my hair in the shower. Take baking soda in the palm and rub it gently on the scalp with fingertips. This not only gives me a clean and clear scalp but also helps in getting rid of dandruff. Other times, I mix it with water to form a paste and then apply it on the scalp. Leave it on for few minutes and then rinse normally with water that has vinegar mixed to it. Honestly, I do not use baking soda too often on my hair since I think it’s coarse texture may make my hair brittle and also because after using baking soda I find my hair dry and a little rough. But like I said, I use it clean my scalp. I do not rub it on my hair downwards. Simply rub it on the scalp to clean it of any dirt and dandruff. It works perfectly well for me especially when my hair is not oiled. My scalp is oily while my hair is dry and this gives me a tough time while washing my mane. On days when my hair is not visibly oily, I use a glycerin based soap to clean my hair. In most cases, I go with Pears while other times, I use Khadi’s essential oil based soaps or natural handmade soaps. These soaps remove excess oil from the hair without making it unmanageable. If I find my hair rough and tangled, I sometimes use a market bought conditioner. Another Krya product I totally like applying on my hair. It is made from fresh berries and amla and shikakai and is devoid of chemicals like SLS, parabens and synthetic fragrances. It is a green, herbal like powder. Usage of Krya hair wash may need some time to get used to it. I find rinsing the most difficult but after seeing the noticeable difference in my hair health, I am not complaining. Krya’s hair wash is the one I use regularly and more frequently. It makes my hair a little rough as compared to market-bought products but then that’s my hair’s fault. My hair is too dry and with time their texture has greatly improved. They aren’t that dry anymore. Plus, market-based shampoos give temporary shine and short-term moisturizer. Krya’s hair wash has helped in reducing my dandruff and making my hair thicker. You MUST try it out. After proper rinsing of hair, take two drops of a light hair oil, mostly olive oil or any other oil, mix it with few drops of water and apply it straight on hair. Just like a conditioner, I gently rub the oil mix on my hair down the shoulders. So far this has helped me in having soft hair but I am still looking for something better to be applied to the head after rinsing. There are a plethora of recipes for natural hair masks. Other than the above, you can try these too! I have lot more information to share here but I think I will do so in different posts to keep this post scan-able. Note: The above-mentioned alternatives and suggestions are based on my personal experiences. I am not a dermatologist and nor I have any professional background in skin care or naturopathy. But I have read a lot and have personally tested and tried things. I have written a lot on IMBB and those who know me from there, know that I wrote mostly about DIYs and home treatments. The above suggestions may or may not work for you, although I do hope you try these out and figure out what suits best to your skin and hair. Or baking soda? The baking soda mix depends on your hair length. And I think it can be used for any hair type and this will be good especially for oily scalp.You can use it 2-3 times a week. 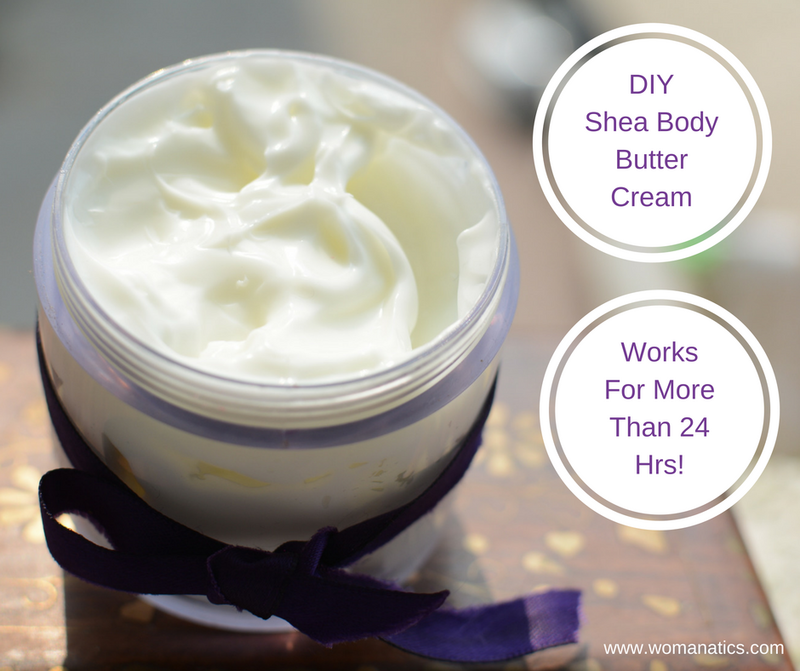 Your DIY skincare treatments are amazingly easy to make, thanks to your simple and straightforward instructions. I can’t wait to make my own rose water and sea salt. Thanks so much for sharing! Hi Jenny, so happy to know you enjoyed the ideas and the instructions. Make your versions and let me know how they fare. Looking forward to your DIYs. So happy to know you tried it Jenny and it is working for you. You will see amazing results after a while. As for the oils, I am using avocado oil or jojoba oil. And when making my DIY face mask, I use lemon and honey. Your DIY’s here are complete and I can’t wait to try one. I am interested to try using Apple cider vinegar. Thanks for these recipes. I am very much addicted to these all natural diys, specially this vinegar and soda one which I always come back to whenever I realize there is too much of build up in my hair to revive my hair naturally. I do that too! It is my go-to method to clean my scalp.